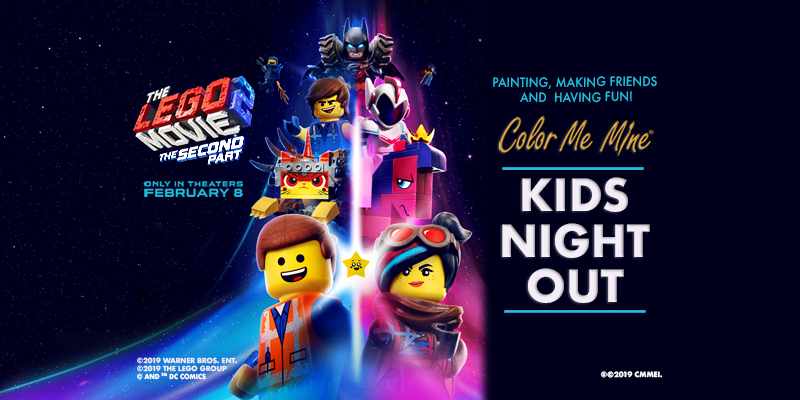 Don’t miss THE LEGO® MOVIE 2: THE SECOND PART themed Kids Night Out events happening at participating Color Me Mine studios everywhere! Contact your local participating Color Me Mine studio for more information. See THE LEGO® MOVIE 2: THE SECOND PART in theaters February 8.